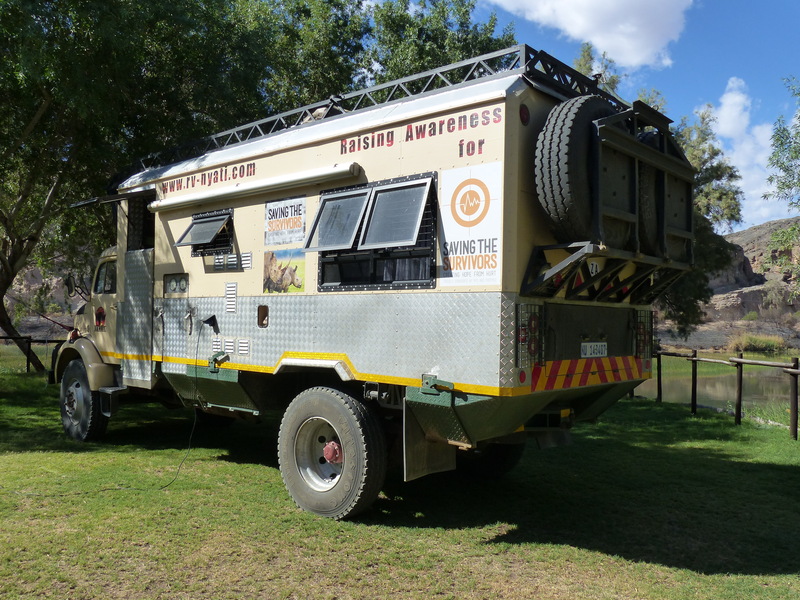 In this section we are going to show photos of the various Overland Trucks and more interesting 4×4 type Vehicles that we come across in our travels down through Africa. 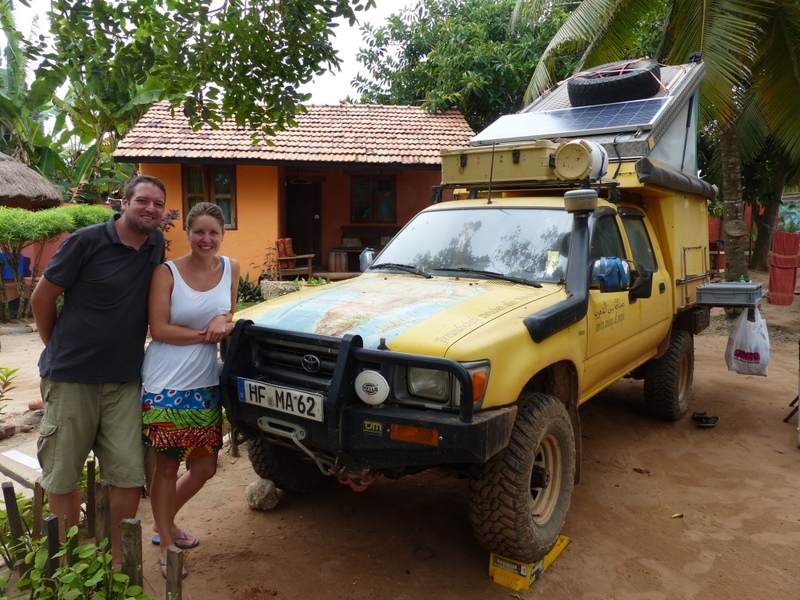 This Toyota Landcruiser based overlander had traveled through from Argentina to Alaska and back to New York, on a 3 year trip for this very friendly German Couple that we met in Portugal. 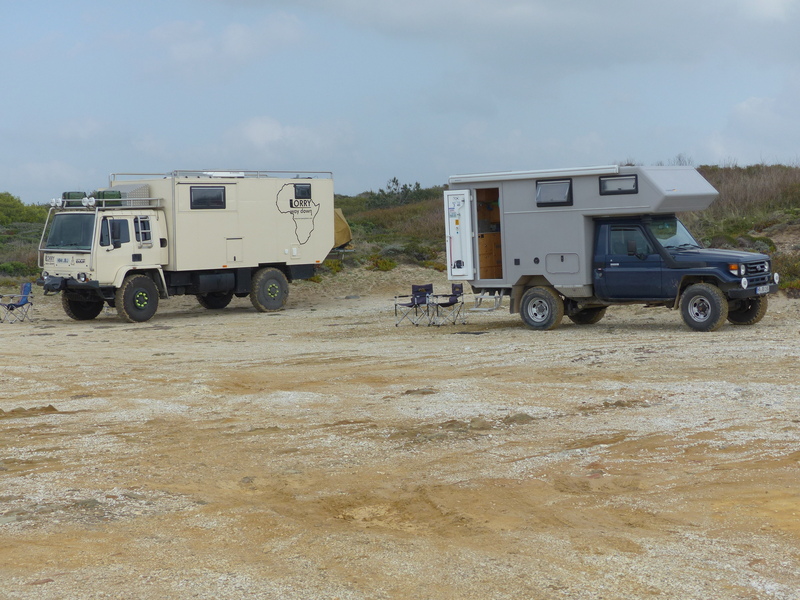 Another Land Cruiser, this one over 30 years old, and the previous owner, a woman, had extensively travels throughout the Middle East including places such as Iran. The whole roof lifts to provide added head room in the rear. 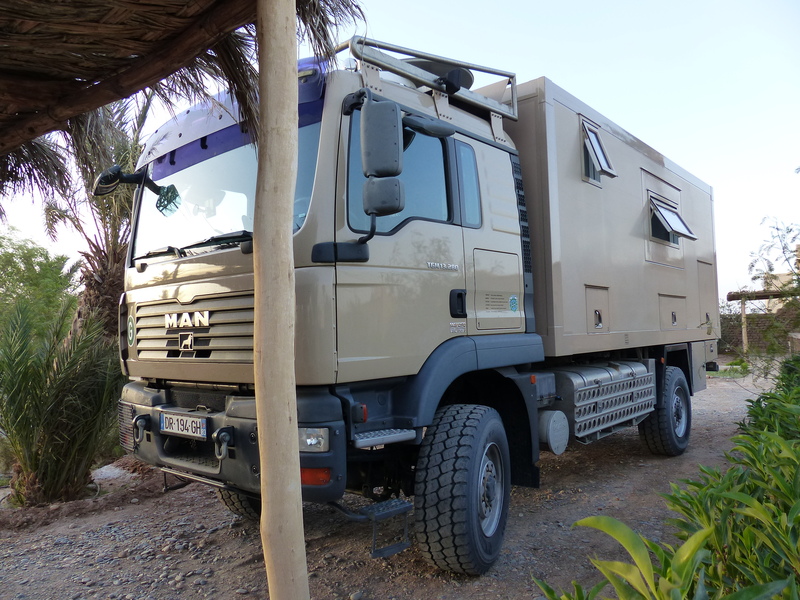 This Iveco truck, powered by an air-cooled Magura engine is owned by a Dutch couple that we met on the coast of Morocco, they were returning from the Sahara, as we were heading in that direction, the loaded weight is approx 11.5 tonnes. 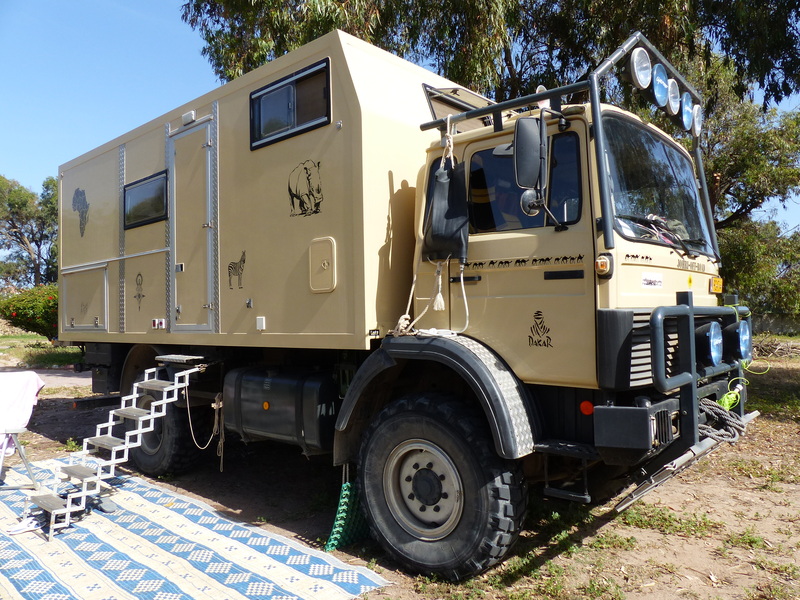 The Unimog based truck was also on the same campsite in Western Morocco. As the owners didn’t appear, I done have any info on this little beauty. 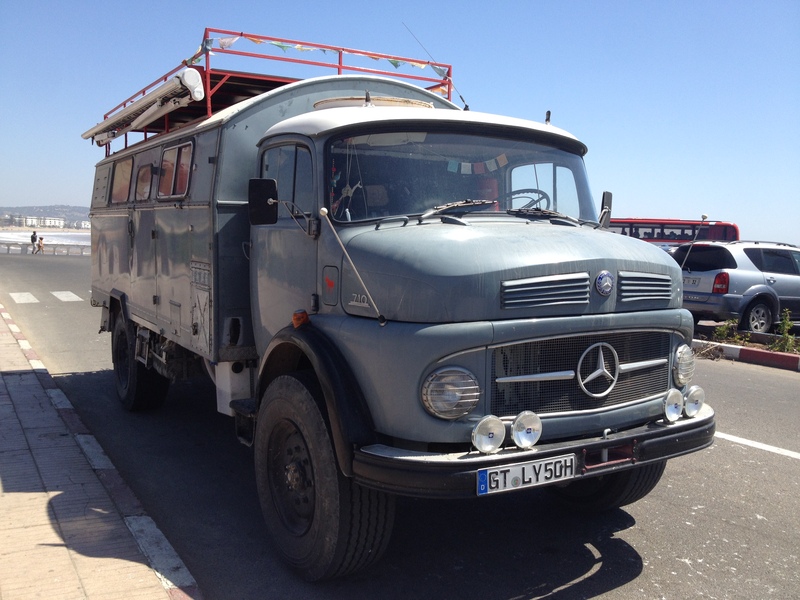 We spotted this older Mercedes in the Moroccan coastal town of Essaouira. 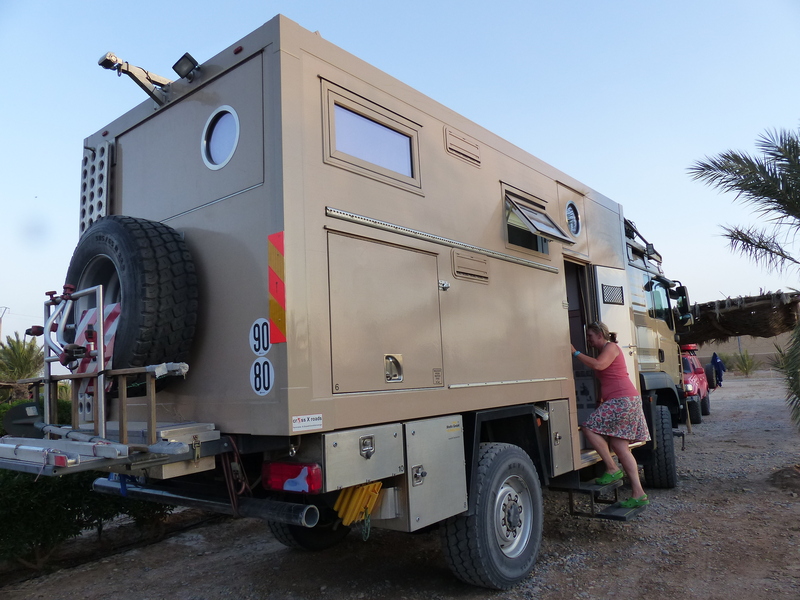 This German built Overlander is on a nine year old MAN chassis, its beautifully built and fitted out, its even got a washing machine on board! 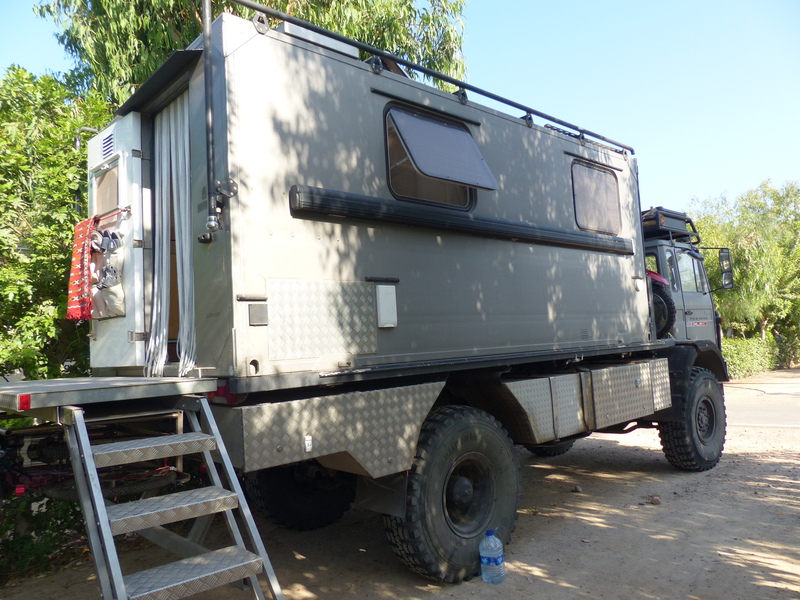 Whilst this was the owners first trip away in this truck they are hoping to ship it over to North America, and travel around the states in it. 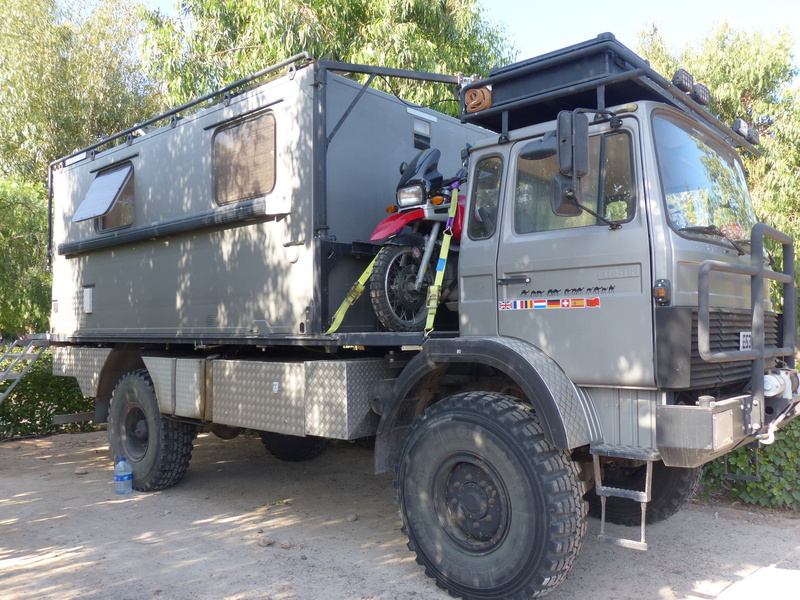 They previously had a Unimog, and had driven that to Mongolia. 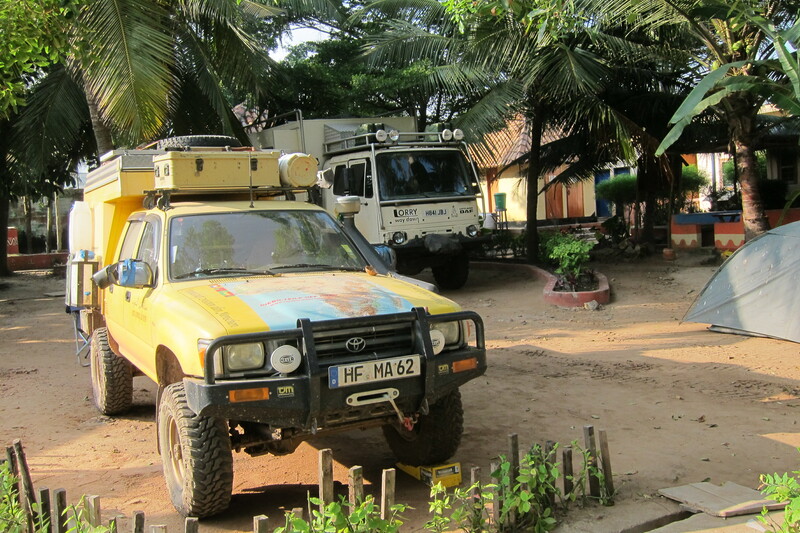 The following truck was planning to travel with us down to Mauritania, and Senegal, (see post on blog), it is owned by Richard and Sally, its on a 1987 Iveco Magirus, air-cooled, and was privately built by its previous owner in Germany a few years ago. They have only owned it for a few months, and are now carrying a BMW GS 1100. It is capable of carrying 1000lt of fuel, and 500lts of water. 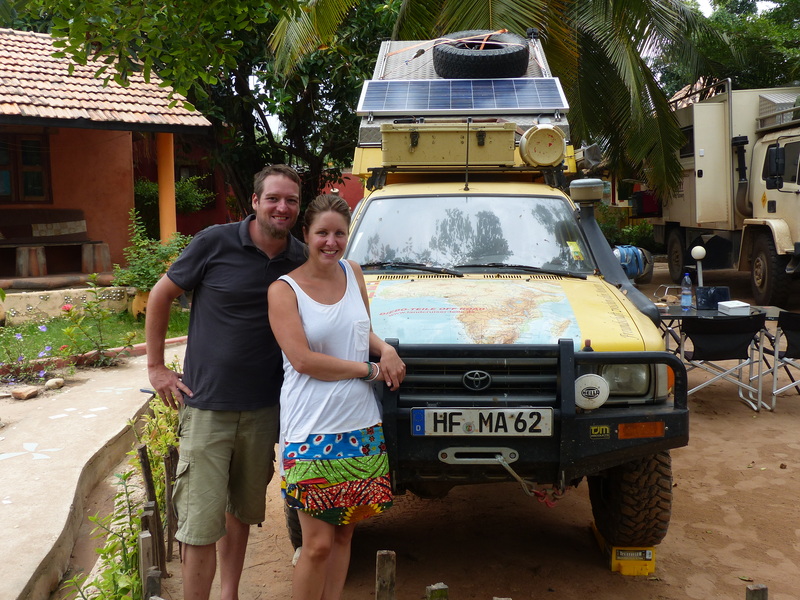 The Toyota Hilux camper below is owned by Andreas and Mareike, from Germany, and we met them in Southern Ghana, they have travelled almost the same route as us down North and West Africa, and have booked it onto the same Vehicle Carrier as us to Namibia. 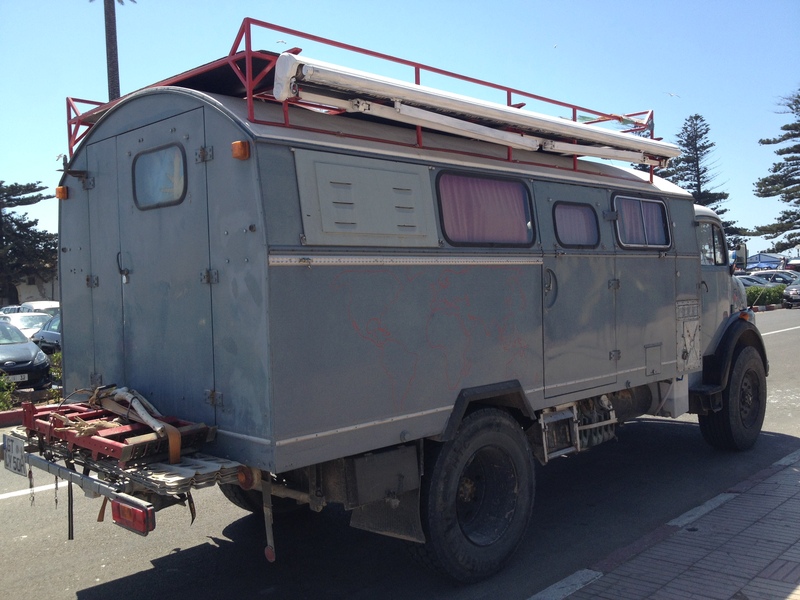 With a pop-up roof, 2 fridges, lots of storage its a well sorted camper. 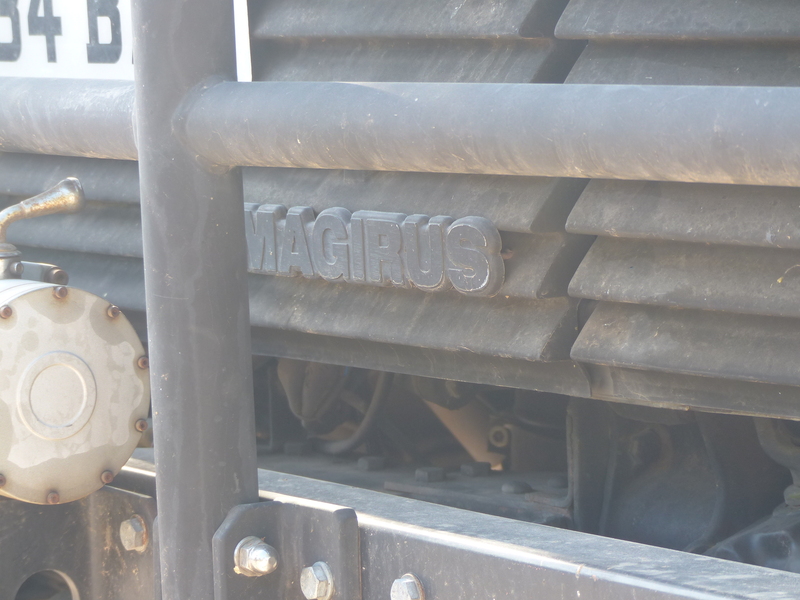 Andreas has fitted quite a lot of equipment to enhance its off road ability, including air lockers. 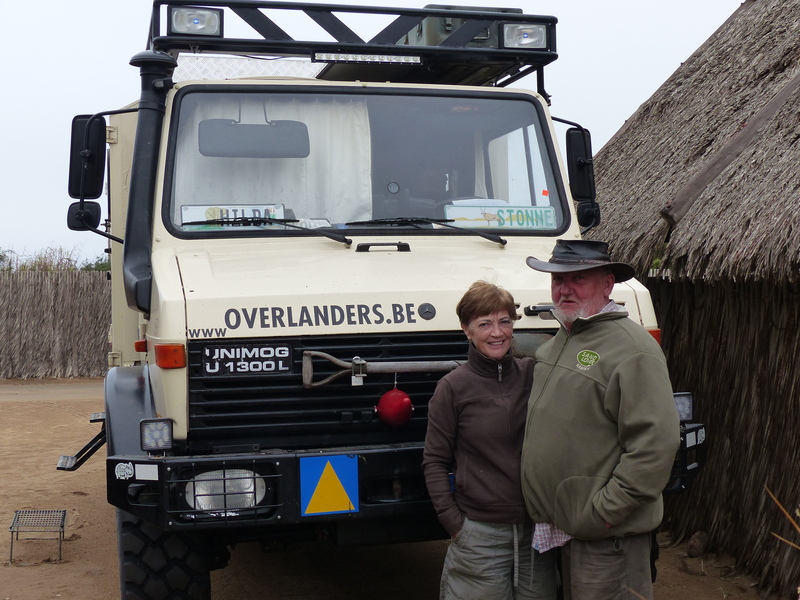 We met Stonne and Hilda a couple from Belgium with there Unimog camper in Swakopmund, its a great size vehicle, and one that is mostly stored in SA and on this occasion they were travelling North and then over to Botswana. 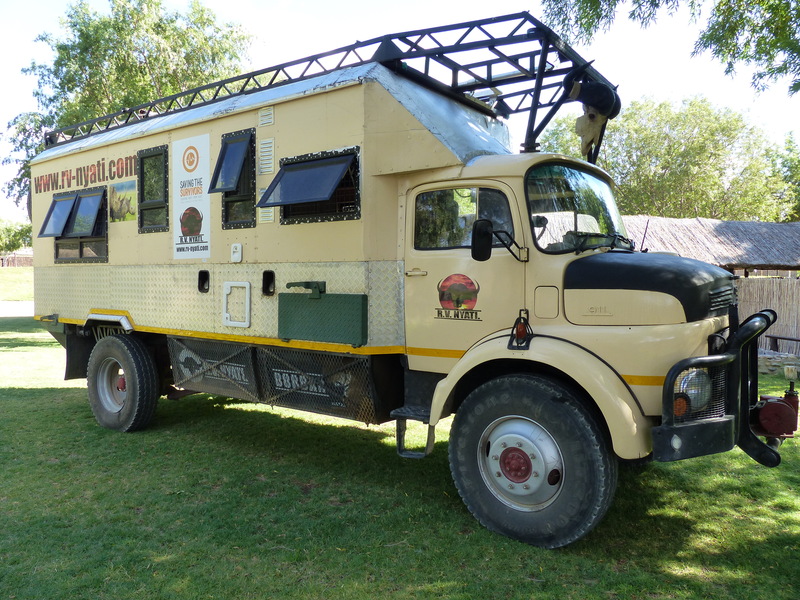 The old Mercedes 911 truck below was driven by a South African guy aged 75 who was travelling on his own, we bumped into him and his home built 11 tonne truck on the Orange River in Namibia, a really nice guy, check out the huge water buffalo skull and horns mounted over the cab. Great list! 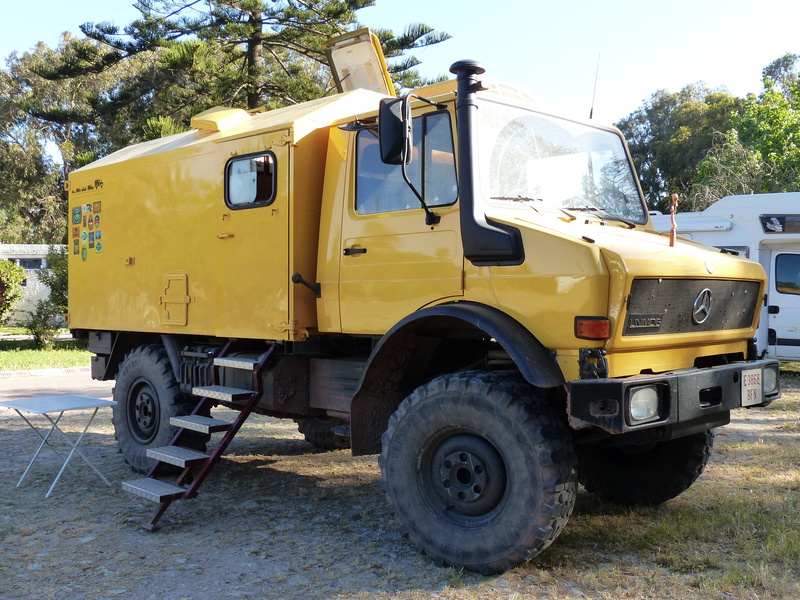 I especially like that old Unimog. I’ve never actually seen that earlier body style before in the US. 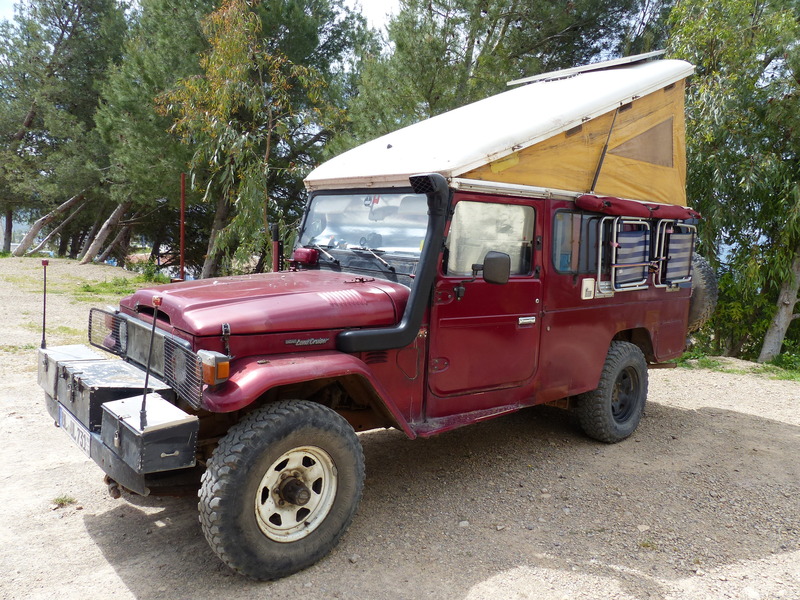 How would I be able to advertise my overlander camper for sale? Thank you for this very impressive photo-essay. 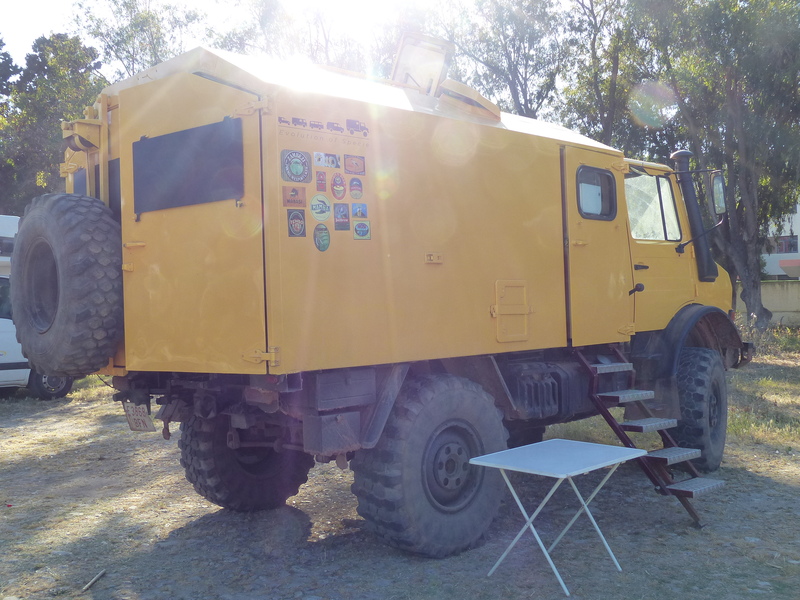 I saw a German couple, first at Richard’s Bay Caravan Park, and (quite a few years later) at the German Club in Pretoria.d a camper-bodied Unimog, and apparently travelled every few years from Deuschland to Cape Point. Thank you for this very impressive photo-essay. I saw a German couple, first at Richard’s Bay Caravan Park, and (quite a few years later) at the German Club in Pretoria. 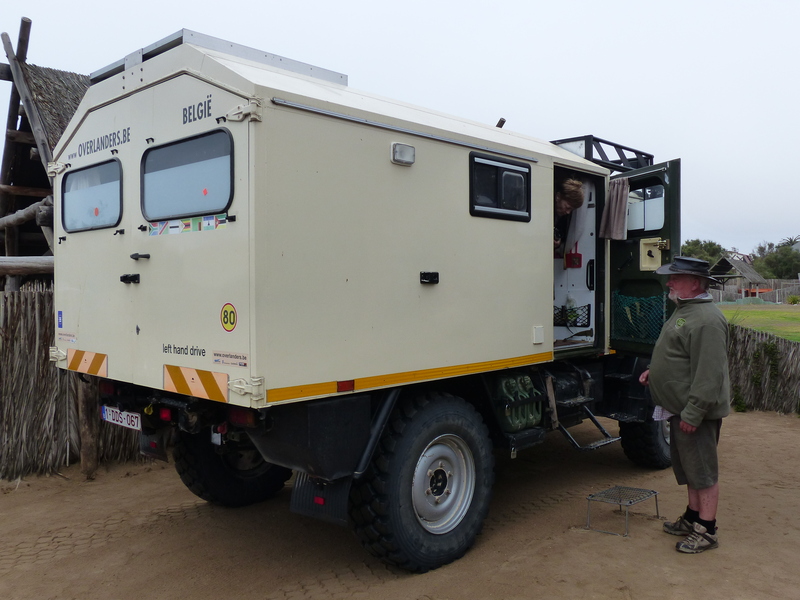 They had a camper-bodied Unimog, and apparently travelled every few years from Deuschland to Cape Point.